There are a total of 6 combat skills known as “Authentic Six” that have been inherited among Nevarethians. Among Authentic Six, “Warrior”, “Blader” and “Wizard” skills have been told to be established before Nevareth Exodus, the Honorable Age. According to a theory, at the time when Core Technology was at the zenith of its prosperity, hundreds of groups were practicing and studying their own unique skills, but the present skills are ones that were developed by the first generation of the 7 sages based on the Nevareth Exodus survivors’ knowledge. “Warriors” are the ones who inherited the very “first form of force”. They practice physical strength by using force more than manipulating it. Thus being a warrior requires being physically superior than the successors of other forms of force. As they prioritize physical power over technique and speed, their fights are thrilling and dynamic. On the contrary, their understanding in force manipulation is quite limited, thus intelligence is given less weight in their practice. However, well-experienced warriors are said to be able to awaken their latent abilities by using force to become berserk warriors, and summon Astral Weapons by having spiritual awakening in force. “Bladers” are the ones who mastered the “second form of force” that were inherited since Nevareth Exodus. According to the Sage Tower, blader skills originated from a type of martial art that was practiced in an eastern country of the Lost Age. That martial art was discovered and developed during the Honorable Age. With the leadership of the first generation of the 7 sages, the present form of blader skills was established. Their practice is focused on maximizing physical abilities by using force, and they prioritize striking techniques and fast speed over destructive power. At the beginning, they used various kinds of weapons, but they quickly realized that the best armaments for their skills are dual swords and have settled with them. Since then, they use single- or double-bladed dual swords as their primary weapons and wear light armor such as “Martial Suit Set” from the Huan continent for speed. Just like the warriors, bladers have very limited understanding in force, thus they mainly practice physical strength and agility more than studying the knowledge of force (intelligence). 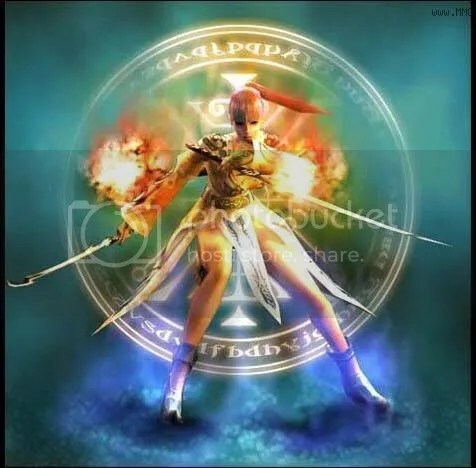 Well-experienced bladers are said to be able to create multiple doppelgangers by maximizing their agility, and to bring instant death to their enemies by summoning deadly Astral Weapons which are the results of their spiritual awakening in force. Wizards are the ones who mastered the very “last form of force”, which the Sage Tower has inherited from the Honorable Age. They manipulate force to compensate their physical weakness. Just like sword skills, magic spells are known to have originated in the Lost Age. However, according to theory, it was only during the Honorable Age when magic became a publicized combat skill. The present form of magic spells was developed by the first generation of the 7 sages. 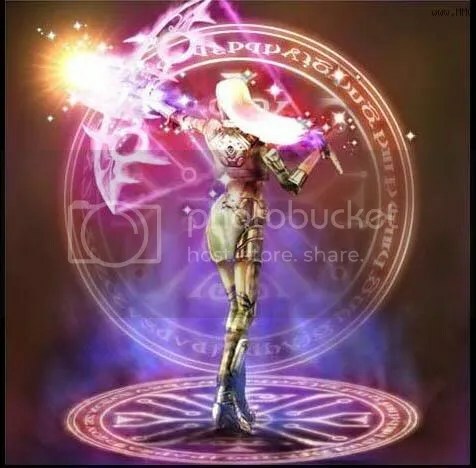 If sword skills use force to maximize a person’s physical abilities and destructive power, magic skills use force within oneself to manipulate outer forces and create powerful energy. In the early years of Nevareth, they used a type of force controller called “Force Stick” that was inherited from the Honorable Age. But as Core Technology developed, they started using an aggressive force controller called “Orb”. Orb is one-handed, which means that Wizards can equip orb in both hands to double their power. It also enables them to cast multiple magic spells at the same time. Wizards invest a lot of effort in intelligence in order to efficiently control force. Because of this, they do not possess much physical strength or agility. Thus they prefer to wear light armor such as Martial Suit Set. According to some theories, they avoid metallic armor because it prevents them from close contact with outer forces. 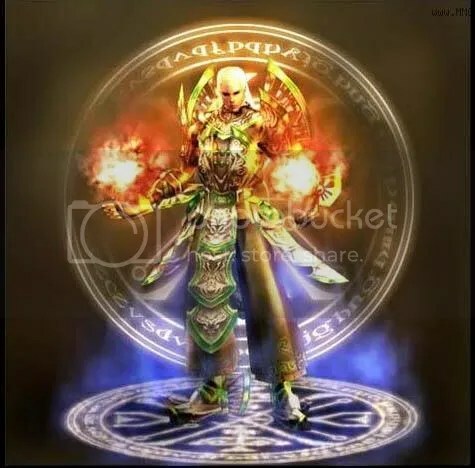 Well-experienced wizards are said to be able to simultaneously use multiple magic spells with ease, and inflict enormous damage just by using a simple spell. 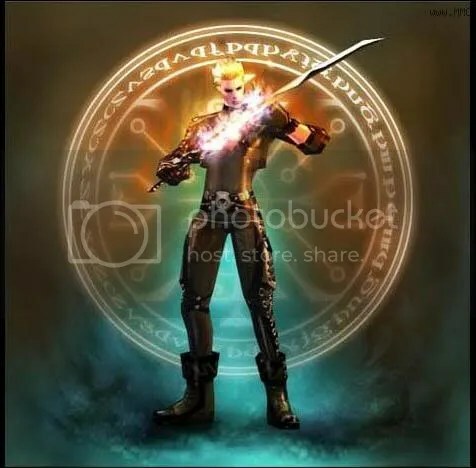 Unlike Warriors, Bladers, and Wizards, the three remaining types of Authentic Six–Force Archer, Force Shielder, and Force Blader—did not originate from the Sage Tower. They were independently established and developed for hundreds of years since Nevareth Exodus by so called “Force Handlers”. However, as time passed by, the term “Force Handlers came to indicate all of the 6 Authentic Skills. “Force Archers” originated from a Wizard group. They realized the potential of long-range magic spells, and studied how to intensify the particularity of the magic spells. The founders of Force Archer skills were greatly intrigued by distance and speed rather than space and power. 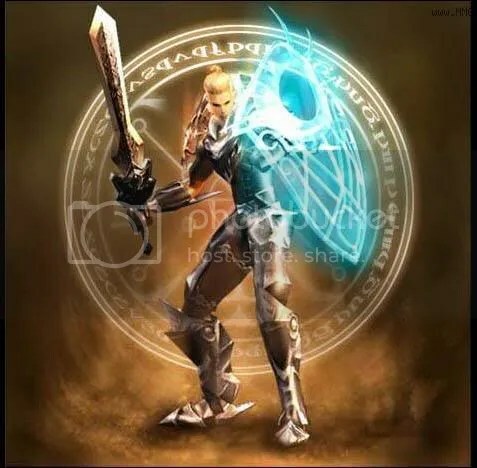 They established the intensive long-range force attack skills for Force Archers, and created “Crystal”, an advanced version of Wizard’s “Orb”, which specializes in controlling force more than intensifying it. This great invention has resulted in creating another invention, “Astral Bow” that minimizes the risk of power decrease when using long-range force and improves force control and attack speed at the same time. Later, it served as a momentum for “Astral Weapon”, the embodied force. Controlling Crystal requires at least a little bit of physical strength and agility. Force Archers do not move around much compared to other classes due to their unique battle style, and they wear armor such as “Battle Suit Set” from the Pastur continent which possesses better defense than light clothes armor. Well-experienced Force Archers can do fast long-range force attack, and if they master in force control, they can deliver a fatal blow to an enemy at a far distance with one shot. The invention of Crystal and the birth of Force Archer have brought yet another class after Force Shielders. Since Force Bladers were formed almost at the same time as Force Shielders, they shared many things in common. From the early years of Nevareth, people have wished to use sword and magic at the same time so that they can cover both short- and long-range battles. However, it was almost impossible before Force Archers and Force Shielders appeared. But with their appearance, people were greatly encouraged to study magic swordsmanship that lead to the establishment of the technique now used by Force Bladers. Force Bladers use a sword in one hand and a force controller in the other hand. Unlike defensive Force Shielders, Force Bladers prioritize agility for precise attacks. It is for the same reason that they cannot wear armor heavier than Battle Suit Armor Set. Also, they preferred to use “Orb”, which focuses on destructive power more than force control. The research in Force Bladers obtained a fruitful result in establishing Agility Force Bladers but it was not that satisfactory. Agility Force Blader’s sword skills were not as strong as Bladers’ skills and their magic skills were not as powerful as Wizards’ or Force Archers’ skills. They were also unable to perform support magic spells unlike Force Shielders. They must find another way to improve their power. After long research, they realized that using sword and magic spells at the same time would compensate for the weakness. Thus, they created a unique battle skill known as “Magic Sword Skills”. This is how Force Bladers, the Magic Swordsmen came to be. Since Force Bladers must be equally skillful in fencing and magic, they try to keep balance their practice in physical strength and intelligence. Although there are not yet many Magic Sword Skills introduced, Force Bladers can use joint sword and magic skills. Well-experienced Force Bladers are told to be able to combine every possible magic spell with their sword skills, and inflict more damage by mastering combining magic and sword skills. The invention of “Crystal” has created another possibility in force control. Force Shielders noticed that Force Archer’s Astral Bow can efficiently support long-range force control. They studied how to precisely condense force around Crystals so that force is not dispersed when used to attack enemies. As a result, Astral Shield was created. The creation of Astral Shield opened a new chapter in the history of Nevarethian armors. Astral Shield has exceptionally high defense strength and it can be used for offensive purposes as well. Warriors and Bladers, who desperately needed a better way to fight and defend, became Force Shielders. They wanted higher defense while establishing their own unique battle style. Thus they started using the heaviest armor such as Warrior’s Armor Suit with Astral Shield at the same time. Force Shielders specialize in short-range force control, which means that they are incapable of doing long-range attacks. However, they make up for the weakness by developing support magic spells that increase their attack strength by manipulating outer forces near their bodies, whose methods are similar as the Wizard’s strongest asset. 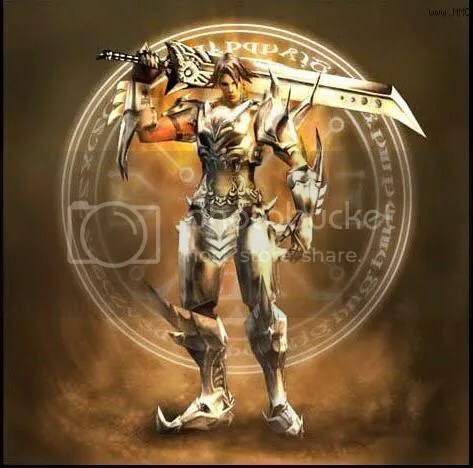 This entry was posted on May 16, 2008 at 6:57 am and is filed under Cabal: Character Guide with tags Blader, Cabal: Character Guide, Character Guide, Force Archer, Force Blader, Force Shielder, warrior, Wizard. You can follow any responses to this entry through the RSS 2.0 feed. You can leave a response, or trackback from your own site. AMMMF… KOPYA NYO LNG NMAN YAN SA http://WWW.CABAL.COM….